Are you a scholarly society, or other community or collective, with an OA journal idea that you would like to develop with UC Press? Are you involved with an OA journal that you are in a position to consider publishing with UC Press? 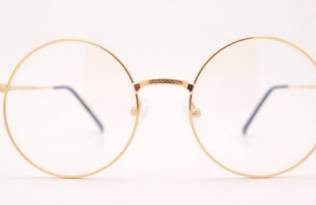 Are you an editor, or on an editorial board, considering starting a new OA journal? Then please consider reaching out to us. Our aim is to facilitate, and not control, and we acknowledge the primary importance of the scholarly community in the value of a journal. Contact: Dan Morgan, Publisher, UC Press, at dmorgan@ucpress.edu. As of January 2017, University of California Press is the publisher of two Open Access journals—Collabra: Psychology (which we launched) and Elementa: Science of the Anthropocene (which transferred to us from BioOne). The origin of Collabra: Psychology was a megajournal called Collabra, which was intended to cover multiple disciplines. It created a new, fair, efficient business model that allows editors and reviewers to have a say in how the value created by a journal is shared. Elementa now adopts this business model too. 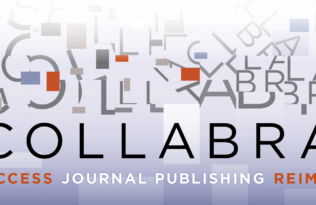 Collabra’s transition to Collabra: Psychology, a journal devoted to psychology, was not an exit from other fields but a focus on a specific community in which it gained great traction. When the opportunity to publish Elementa: Science of the Anthropocene came along, we realized the best way forward for our OA efforts would be to work with specific communities on specific journals. We look forward to working with you! Please reach out to Dan Morgan, Publisher, UC Press, at dmorgan@ucpress.edu.